The classic is back in print. Viktoras will be signing each edition, with a special channeled message. Or if you wish, add your own message, and Viktoras will imprint it with his autograph. of divine love, as proclaimed by the ancient masters. Various forms of yoga and meditation are thoroughly covered to attain vibrant health and perpetual youth. large amount of alternative therapies are included. The first holistic book to be published with medical journal references. 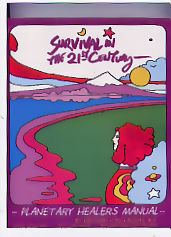 Few of the most outstanding features are: Insight into practical spirituality; development of positive mind set; how be free of menstruation; a new paradigm of cancer - theory and cure, as proven to work successfully at the Hippocrates; dietary/spiritual relativism and transition; back to the land orientation; love, tantra and karma. very unique and special lifestyle. *Raw Food Fest	Video with Viktoras Kulvinskas. 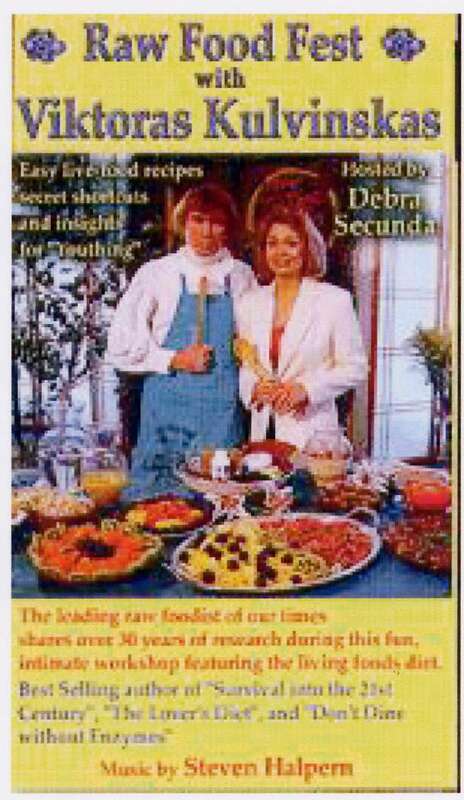 "Viktoras is extremely dynamic as he shares his vast insights and delicious recipes in those rare videos." GABRIEL COUSENS M.D.